NC State landed a major commitment last week from 5-Star 2019 point guard Jalen Lecque. 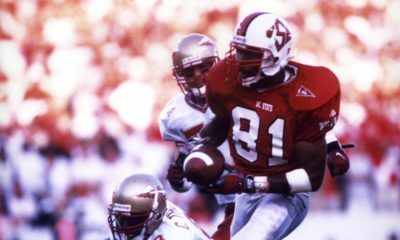 Below we breakdown the Wolfpack’s highest ranked commitments of the past 18 years, and Lecque currently ranks 7th. Obviously, he has his whole entire Senior season to see his ranking rise even higher. What does landing a commitment of Lecque’s caliber get you? Dennis Smith Jr. was the ACC Freshman of the Year. JJ Hickson made the All-ACC Freshman Team. CJ Leslie earned 2nd Team All-ACC honors. TJ Warren was the ACC Player of the Year. Brandon Costner was on the All-ACC Third Team. Cat Barber was First Team All-ACC and an AP All-American Honorable Mention. Omer Yurtseven earned 3rd Team All-ACC honors. Lorenzo Brown earned 2nd & 3rd Team All-ACC honors, and led the ACC in assists in 2012-13. In a nutshell, Lecque is one of the biggest recruits to commit to NC State in school history, and players of his caliber almost always make an immediate impact.